This blog originally appeared as a Schneider Electric Blog on March 14, 2016. Scarcity of water resources, growth in urban population, environmental regulations and process inefficiencies are all contributing to a crisis in the Water & Wastewater industry. It is estimated that the amount of energy wasted as a result of traditional methods of water processing and delivery can be cut by up to 25%. The urban population of the world is forecast to grow to 6.3 billion people in 2050, from 3.4 billion in 2009 (1). 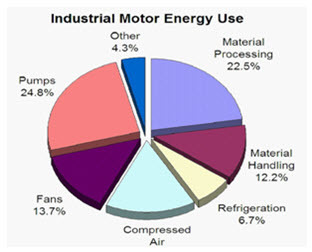 Energy efficiency is a point of main concern as a quarter of the energy consumed by industrial motors is used by PUMPS (see Figure 2).It is estimated that 75% of pump systems are oversized, many by more than 20% (2). Electricity costs account for 40% of the total cost of ownership (TCO) of a pump. The solution for the issues mentioned above lies in Smart Pumping (also termed as Intelligent Pumping) along with use IIoT. These approaches result in energy savings, increased equipment lifetime, and maintenance cost reductions by providing higher quality and precise data. A “Smart Pumping” system has the ability to combine greater efficiencies with sensors and software to regulate and control flow and pressure. IIoT incorporates machine learning and big data technology, harnessing sensor data, machine-to-machine (M2M) communication and automation technologies that have existed in industrial settings for years. 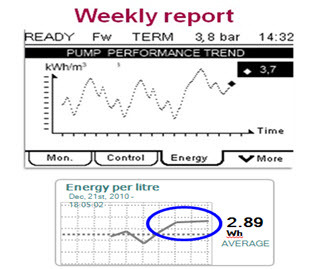 Figure 4: Monitoring of the energy related attributes provides Pump owners possibility to optimize energy usage. Monitoring pumps which helps operators to detect higher energy usage. Libraries and algorithms to ensure that pumps are running in energy efficient manner. Pumps driven by variable speed drives which can save up to 30% energy compared to fixed speed pumps (2). Establishing preventive maintenance plans for systematic inspection to detect potential failures. Enabling condition-based maintenance by monitoring pumping system data for an accurate status and risk assessment. By remaining connected with pumps, the manufacturers know the location of the pumps and are also able to provide timely support and spare parts to their customers. 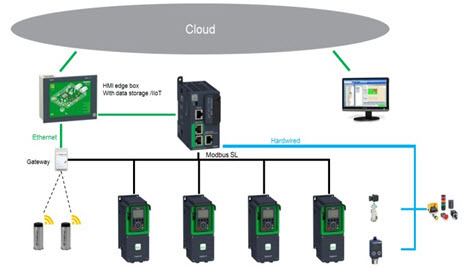 The connected Variable speed drives with active QR codes can be used for diagnostics and also to give information easily to operators for support. Conclusion: Start small, start smart NOW. 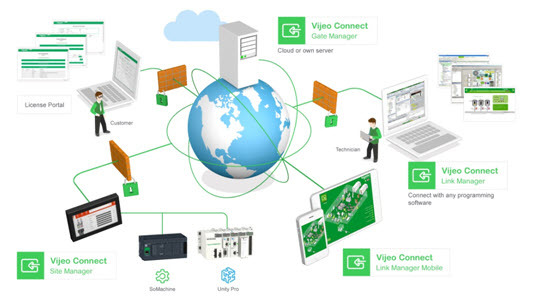 Introduce energy measuring devices into system architectures. Use controllers with intelligent applications for better protection and reduced commissioning time, while following guidelines for standards as set by local and global organizations. Replace fixed speed pumps with variable speed pumps. For “smart” visibility of pumping systems use remote monitoring for maintenance and energy efficiency. To discover more…you can download the entire presentation as shown at Hannover Messe 2016. For more Information on the IIC Testbeds: http://www.iiconsortium.org/wc-testbeds.htm. IEA (International Energy Agency). 2006. World Energy Outlook 2006. Paris, IEA. 2007. World Energy Outlook 2007. Paris, IEA. Data machine learning and IOT is the way to go for future manufactuing. Great article! keep up great work. Interesting article. Instead of water bottles, water filters as described at https://www.purewaterguy.com are a good way for consumers to get clean water. Energy consumed while pumping water is great. The population is growing all over the world and also climate change has really reduced the water. If we can tap the rain water in a big way we will never have shortage of water. Interesting stuff! I think we're going to see pretty soon that this is going to be one of the major challenges we face as a species as the population still continues to expand.